The Speech and Hearing Center as part of the Department of Communicative Disorders strives to provide quality services to individuals with speech, language, or hearing disorders in the Tuscaloosa community and surrounding counties. Clients of all ages and from diverse backgrounds are served through the Speech and Hearing Center and have a variety of speech, language, or hearing problems. 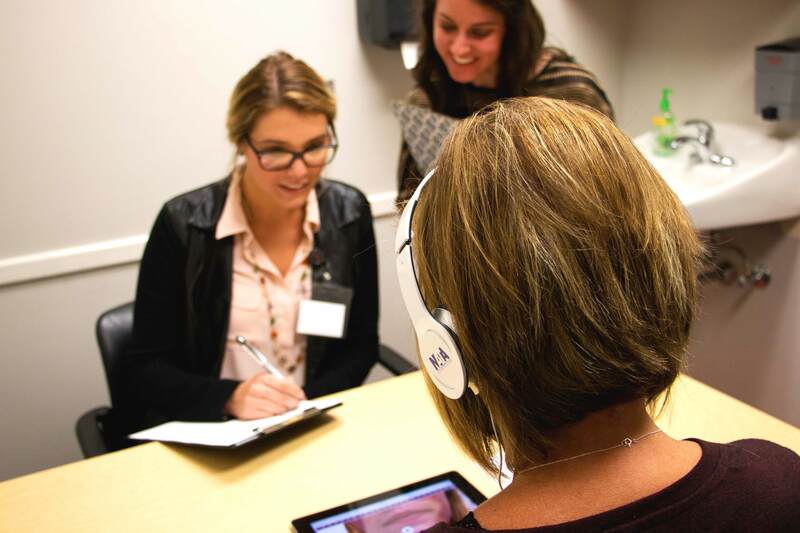 Since the Speech and Hearing Center is a clinical training program, services are provided by students enrolled in one of the clinical practicum courses under the supervision of state licensed and nationally certified clinical supervisors. There are a variety of ways for clients to receive services at the Speech and Hearing Center. Since the Center is open to the public, self-referral, referral from a physician, or referral from another community agency is common. In addition to these referrals, children ranging from three years to five years of age are served at the Center through the Preschool Speech and Language Program. Although this program is housed at the Speech and Hearing Center, it is made possible through cooperative agreements between the Speech and Hearing Center and the Tuscaloosa County School System and the Tuscaloosa City School System.